Hape are a brand over the last year I come to love thanks to their colourful and high quality wooden toys. 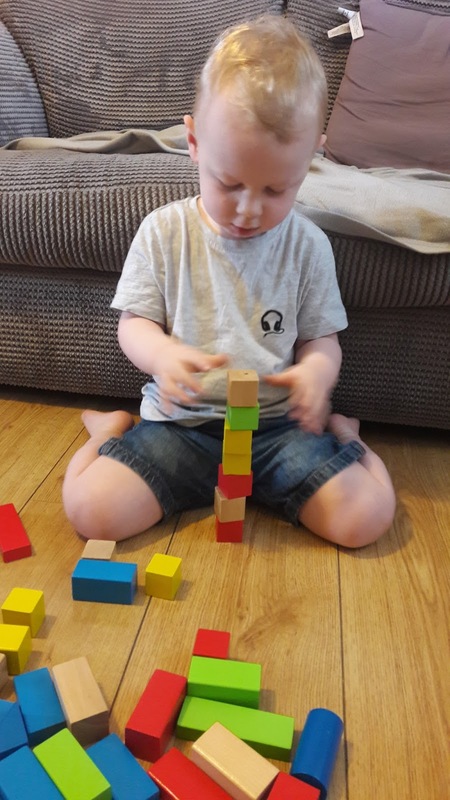 Hape recently sent some wooden toys for Blake to play with, first is the Rainbow elephant and baby interlocking puzzle, to increase the challenge, try building with a timer or without the puzzle base. 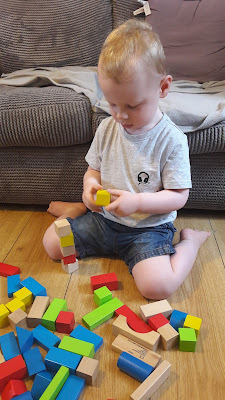 Blake hasn't taken much interest in the puzzle at the moment, I feel that is due to him not really enjoying puzzles as its not an activity he likes to stick to for long. 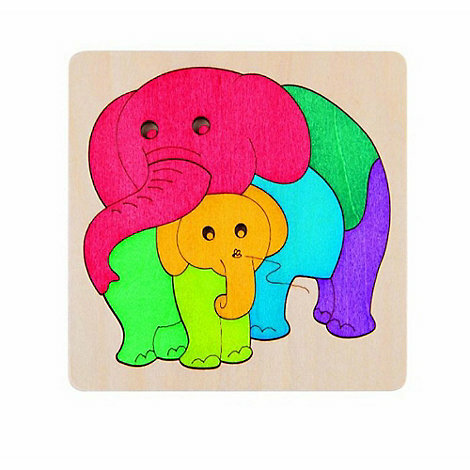 I do think the puzzle is great for him to also learn colours and a great way for us to talk about what know about elephants. The next item is the Maple 50pc Block Set, which has been a real hit with Blake over the last few weeks. Blake spends quite a bit of time playing with these blocks and really concentrates on what he is doing when stacking them on top of each other. They are brightly coloured and ideal for small hands and helps with dexterity and hand-eye coordination. 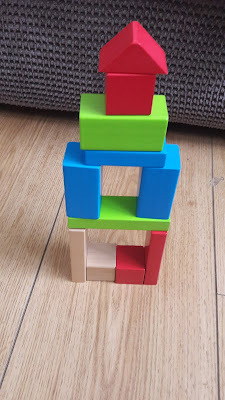 They are of great quality too and easier for Blake for building towers than duplo or megablocks are. They also come with a handy canvas bag for easy storage which is also great as we plan to take then with us when we go away to Camber Sands. Do you like Hape toys? Do you prefer wooden toys? I'd love to know as always. We love wooden toys. They show their quality as our 2nd child is still playing with the wooden toys from the 1st, and all the plastic ones are broken or put away!